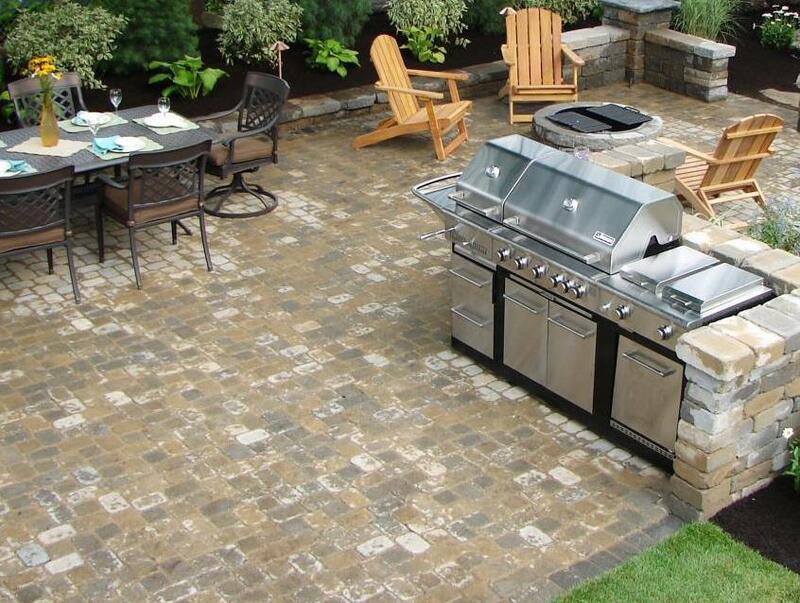 Spring is here, ready to be enjoyed – your patio should be, too. If you are still experiencing winter-like weather, don’t worry, it won’t be long now. Spring is upon us as is all of its affiliated customs; family activities like swimming, gardening, picnics and of course gatherings on your outdoor patio will soon be in motion again. Thankfully, it only takes a single weekend to get your patio in proper order for the warm weather seasons. It’s a simple DIY project, really. You’ll just need a few things such as a hose, clippers, plants and soil (assuming you already have pots), a broom, painting supplies, rags, window cleaner… and you’ll know along the way whatever specific household item you’ll need to pull for a certain task. To get started, move all of your furniture and accessories away from the patio. If the patio is covered by an awning or wood beams and/or if you have a large outdoor ceiling fan start cleaning those first. You can use an extra-long duster to reach them, and just keep sweeping until you’ve successfully removed all of the dust and debris. The logic behind this is to have all of that assorted litter fall to the floor BEFORE you do your serious floor cleaning. Makes sense, right? Be prepared with water by your side. You might enjoy your old school watering can or you may have a hose handy. First, you must be certain that the water is turned back on after being shut off for the winter and the faucets are ready to go. 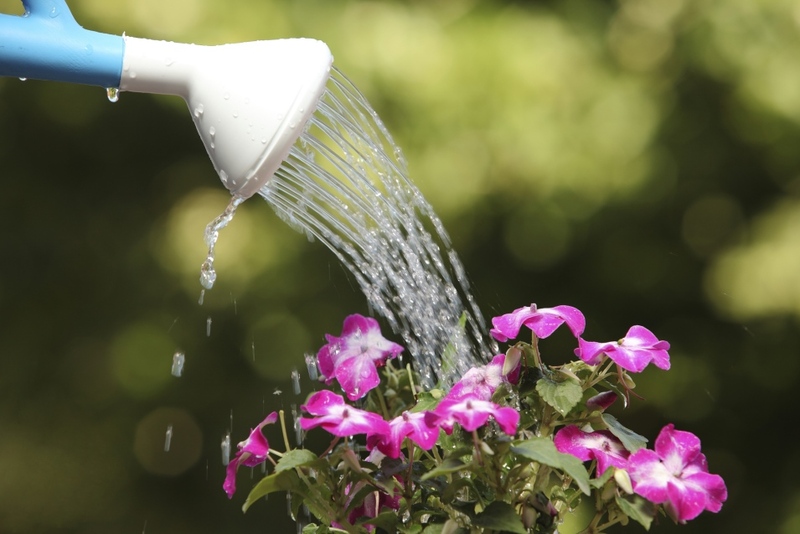 It’s all necessary so your plants may be watered properly. Soon you’ll have them flourishing in warm weather. In order to avoid creating a potential mosquito breeding ground, be certain not to let water fester in unattended water cans over time. Have a gravel patio? Rake it over well to mix it up, even it out, and be rid of debris. Have weeds? Pull them out! You may even kill them with boiling water. How about plants? Get them looking good again. Hedges that have become overgrown will benefit from a nice trim. Your outdoor furniture has likely suffered a bit during the off season. It’s time to get them presentable and clean. After all, you don’t want guests giving a second thought to sitting because the chair looks gross. 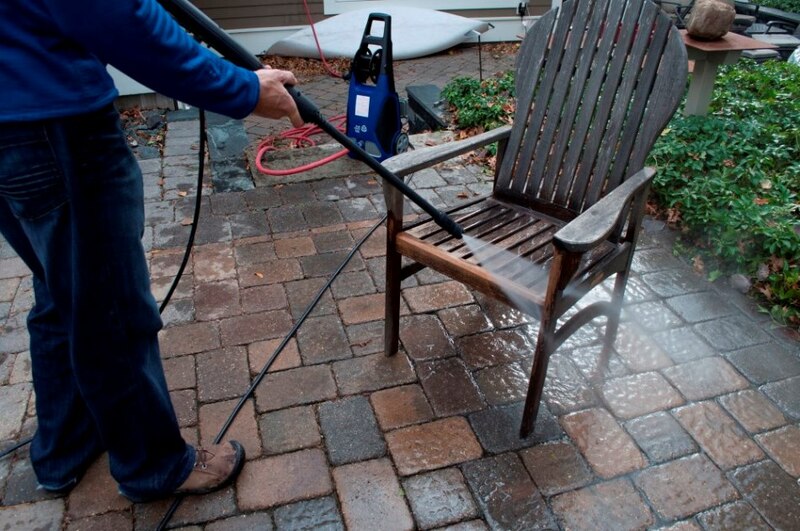 Start by removing the cushions and dust the frames thoroughly and them wipe or hose them down. If you have painted furniture that is peeling, set it aside so that you may repaint it (if it’s made of wicker, spray paint is best). Wood furniture may need staining or a fresh coat of finish. Furniture made of metal may need to be painted, most likely with a wire brush and an applicable paint brand such as Rustoleum. Do whatever’s necessary to get your cushions clean. Launder them if possible. Wash the upholstery, remove the slip covers and follow the care instructions on their tags. If you’re unable to get the fabric acceptably clean, you may want to have new covers made using a weatherproof fabric. And check the inserts – if they are gross or moldy, you’ll need to replace those as well. It’s should all start to be coming together. Now, let’s break out the glass cleaner. Start with a dust rag if there’s a layer of dirt on everything. Then spray and get those glass tops wiped down and clean enough to eat on. Clean out your wood burning fireplace (assuming you have one nearby outside). Don’t toss any ashes unless you wet them down completely. Organize your woodpile and stack the logs tastefully so they actually add a little something visually. Now that we’re on an organizing kick, let’s sort out all of the patio items. You might have a storage bench to go through or another sort of container. Clean it out, donate any usable items you no longer need and get it well arranged. How long has it been since you opened the patio umbrella? Watch for insects as you spread it out. Remove cobwebs and debris before wiping it all down with a dry rag. Add a couple of drops of detergent to water and then wash the umbrella with a towel or sponge. Allow it to dry in the breeze completely before folding back up. You know summer’s almost here when you start preparing for grilling. Let’s start on the grill! Get it fresh and clean and organize your barbecue tools and keep them all in the same vicinity. Then check your nursery, how are the plats faring? Pick up seeds, new plants, pots, etc… create a wonderful visual by buying different type of plants and place them liberally throughout the area. They make great colorful accessories that thrive in daylight. At night, candles can have a similarly complementary effect. Start setting tea lights in and around the area, be generous with these as well – you can’t go wrong with an abundance of lights and plants, especially in a large area. 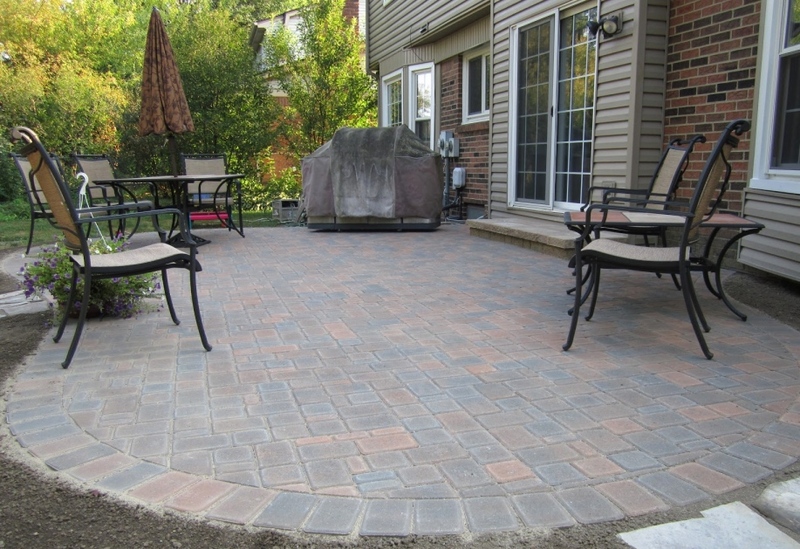 What else can you put out there to help finalize a patio that reflects fun, sun and beauty? A bird feeder or fountain can be fun, but any further additions are gravy. So relax on your immaculate porch and enjoy it – you’ve earned it!